Today, I will share some information about Mac Frozen. Read Along! Having a frozen Mac is actually a rare case but it is not impossible to happen. Mac is also immune to any kind of issue like any other computers. There are instances that you might have experienced that your documents just disappeared, your programs might be crashing, and you might experience the dreaded beachball on your busy working days. If you are experiencing this, then the best thing that you need is to relax. We have included here some steps for you that you can follow so that your Mac will get back up and start running again. However, if you are experiencing that your Mac PC is freezing often, then its time that you take some long-term solution. And of course, there is a need to declutter your Mac, remove all your junks completely, remove some old and duplicated files, and uninstall unneeded apps on your Mac for you to prevent your Mac from freezing. If you want to Unfreeze Mac Frozen and Fix Frozen Mac Apps, I will show you how to do it. And here are the tactics you’ll learn about in this post. Mac is one of the most powerful brands and as well as a durable device that we have nowadays. However, just like any other type of computer, when you store too much data, files, and apps on your Mac, this will cause it to have some issues. And one of these issues is that your Mac gets frozen. Those applications that keeps on crashing on your Mac is one of the most common reasons as to why your Mac PC freezes. In the common situation, an app freezing cannot cause your Mac to crash. However, it is one indication that it is at risk when your memory is almost full or there are multiple apps that are running all at the same time. Here are some of the main reasons as to why your Mac is frozen. This means that there are some apps that open by itself. A reason for this to happen is that maybe that particular app is included in your startup item which is the reason why they automatically open once you start using your Mac. This means that one application is running some multiple processes or your system processes is running on its own. This is the same as the one mentioned above. However, most of you will certainly ask if how many is too many. The answer to that is there is no exact answer. This is because it will depend on the hardware capacity that you have on your Mac. If this happens, then your Mac will not be able to do anything, even just those simple tasks that need to be done. All you need to do is to scan your Mac and make sure that you completely remove anything that you no longer need. This happens when you have too many tabs open at the same time. If an app freezes, then this means that whatever you are doing can be totally interrupted. And if things get worst, it could lead to a lost or a corrupted file. Luckily, there are things that you can do if you experience this kind of situation. All you have to do is to close the app and launch it again. But, if the app keeps on freezing then you can do the following below. *Right-click on the frozen app or on your dock so that a menu will appear. At times, the problem is not with the Mac App but with the Mac OS itself. There are actually some reasons as to why your Mac freezes. First thing is that maybe the file that you are dealing with when your Mac freezes is the main cause. For you to check if this is the real problem, you can simply try opening another file together with an app and work with it for some time. Here, you have to make sure that your Mac software and OS X are updated. This is really easy, same with your OS X. Just go ahead and launch your Mac App Store and then check if there are any pending updates. If you have purchased the software on a third-party vendor, then go ahead and go to the manufacturer's website and see if there are any updates available. If you were not able to do a force quit on a certain program, or your Mac is being completely unresponsive then its time for you to reboot your Mac. For you to do this, go ahead and bring up your Reset/Sleep/Shutdown dialogue box by pressing the Control and the power button at the same time. By default, Shut Down is selected. In another way, you can go ahead and press and hold the Power button for about 1-2 seconds for you to bring up the same dialogue box. If things are not that messed up, then there is a chance that your work will be saved before you were able to shut down your Mac. If you would want to make a force reboot on your Mac, go ahead and press on the Command key, Control Key and Power button all at the same time for you to be able to restart your Mac immediately. Keep in mind that you will not be able to have an option for you to save any of your working files. However, this will surely reboot your frozen Mac. Once that your Mac is up and running, you may notice that the file that you are working on is corrupted or damaged. If this happens, see if you still can recover some of it and if so, go ahead and transfer them over to a new file. Once that you have brought back to normal your Mac that is freezing, the best way for you to prevent this is to clean up your Mac. There are actually situations wherein your junk files, apps and some other unneeded things on your Mac can become the reason as to why your Mac freezes. In this given scenario, the main reason for this is when you have a faulty app on your Mac. If so, you can go ahead and uninstall it. However, trying to uninstall a Mac app is not as easy as it sounds. It is different when you are using a Windows PC. Yes, you can just simply drag the app on your trash and it will be removed. But, doing this may only cause to leave some other files that are associated with the app that you removed. For you to be able to completely delete an app on your Mac which is causing your Mac to freeze is by using the iMyMac-Cleaner Mac Uninstaller. Using this program will allow you to completely uninstall the app and remove all files that are associated with it at the same time giving you more space for your storage. Here is how you can use the iMyMac-Cleaner Mac Uninstaller. Have the program downloaded from our website at www.imymac.com and install the iMyMac-Cleaner on your Mac PC. Once you have successfully installed the program, launch it on your Mac and then choose Mac Installer from the left panel of your screen. After that, go ahead and click on the Scan button for you to scan your apps automatically. Once the scanning of Mac software is complete, you will be able to see on your screen a list of software that is installed on your Mac. Select the application that you are using earlier which causes your Mac to freeze. Once you have selected the app, go ahead and click on the Clean button for you to clean up the unneeded app. Confirm this action by clicking on the Confirm button on the pop-up window that appears on your screen. Having an icy Mac can make us all really frustrated and pissed off especially if we are doing some important things or if we are meeting a deadline for a project. However, this is a rare thing that happens to a Mac PC. There are ways for you to fix this kind of issue depending on the situation if an app causes it to freeze or the macOS itself. If you found out that the reason is that of a certain app, then its time for you to clean that up and uninstall it on your Mac PC. You can do this by using the iMyMac-Cleaner Uninstaller. This program will allow you to uninstall the app that is causing you all these troubles. It will also help you remove even those files that are associated with that app that you are trying to remove. Doing this on your Mac will not only prevent you to freeze your Mac but it will also give you more storage space and can even speed up the performance of your Mac. Once that the app is uninstalled, then you can try to download the same app with the latest version or you can try to find a great alternative for that app that you are using. 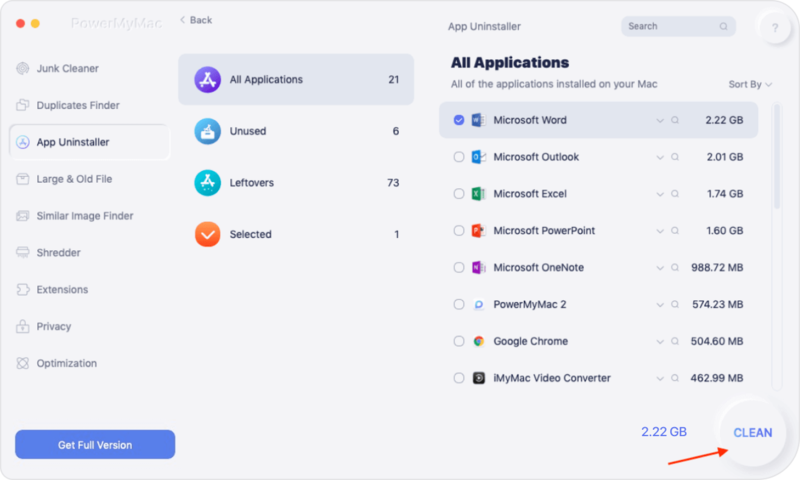 Have the iMyMac-Cleaner and it will let you make your Mac free from any issues as it can also remove all your junk files, duplicates files, and more.